At first glance it looks like a standard long lip minnow, however TADAMAKI 112 it is actually a completely new concept lure. TADAMAKI 112 is a cranking minnow that swims on simple straight retrieve. 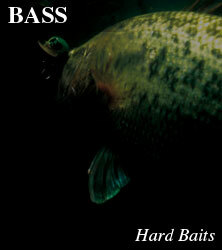 With its slim body and rolling action it targets ranges the same as crank baits. However due to is unique lip design TADAMAKI 112 swims in a natural horizontal position even at its maximum depth, unlike other minnows which swim in a awkward standing position. The lure has also been designed with a casting fin that stabilizes the lure in flight for longer casts and designed to swim at the same stable depth on retrieve. TADAMAKI's silhouette is different from crank bait, swims different to a long lip minnow yet dives deep to where big bass suspend. Early Spring is perfect for jerk and stop action, but straight retrieve can be used all year round. In 2013 we have expanded the line up of the original 112 size to include a new 132 size for targeting deeper areas.